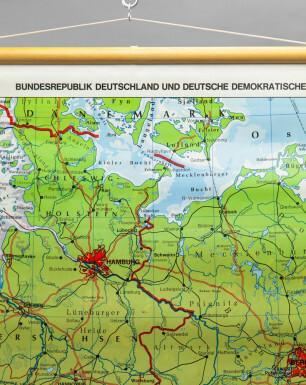 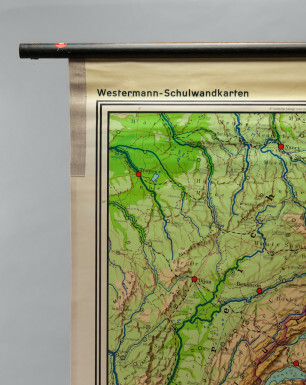 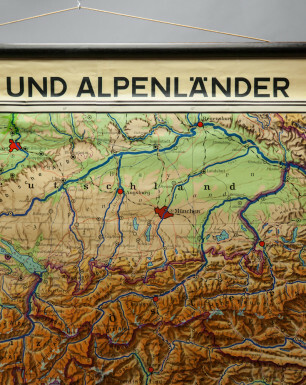 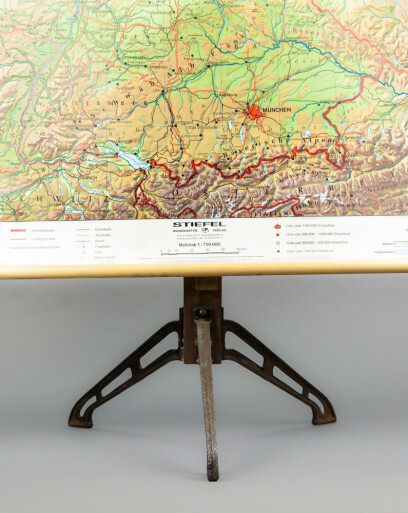 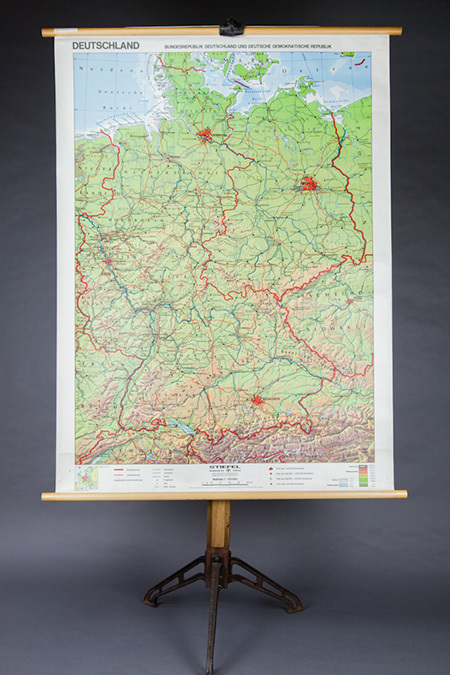 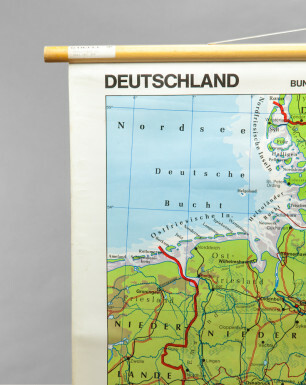 These wall map stands originate from the premises of a former refrigerator manufacturer in East Germany. 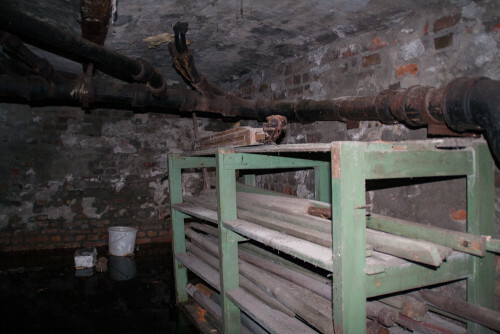 For what reason they were used at this factory or what kind of maps were presented on these stand, remains unclear to us. 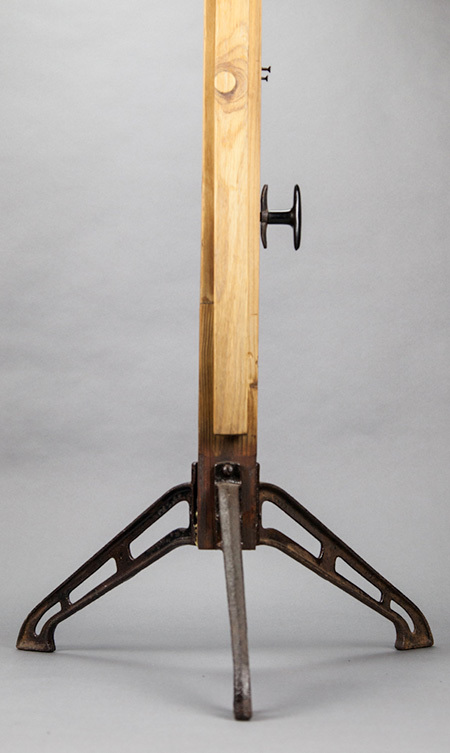 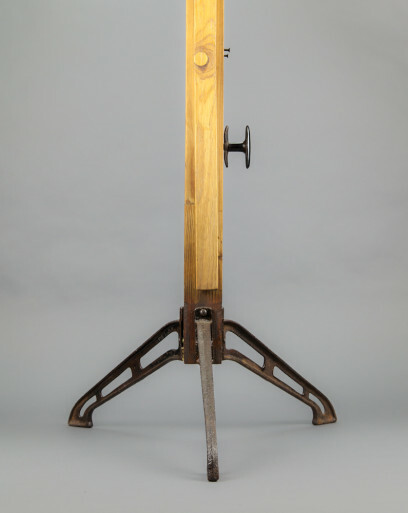 The top part of the stand can be adjusted to the desired height, and four wooden arms can be used to balance the map. 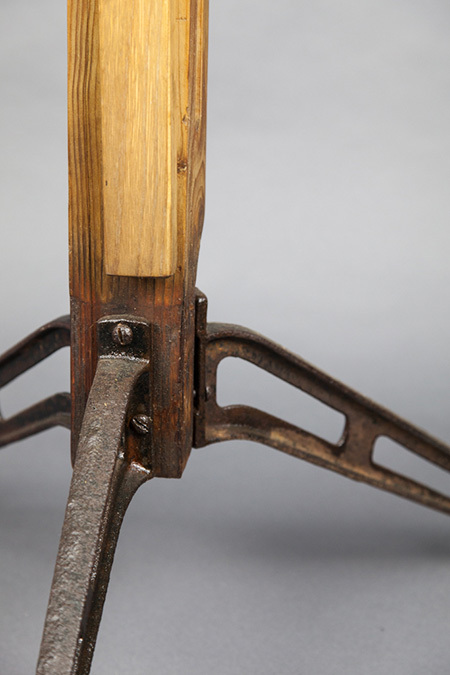 It furthermore features beautiful tripod legs and a cast iron clip at the top is holding the map. 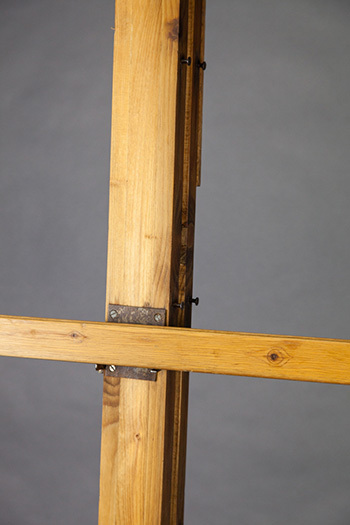 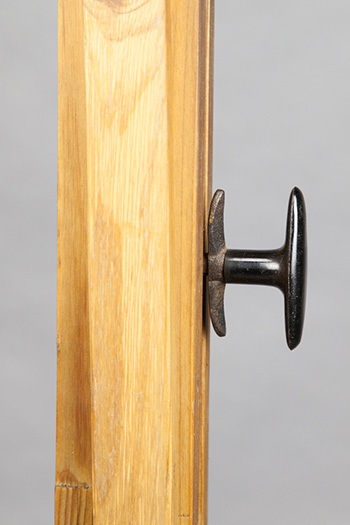 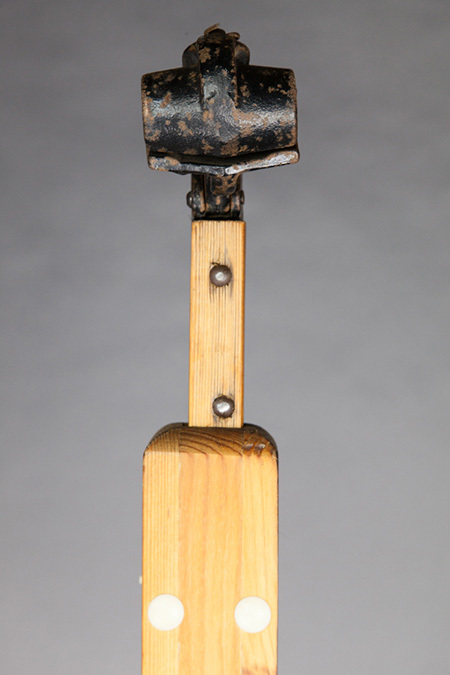 We softly brushed the metal parts, and treated the wood with linseed oil.